To foster and promote the development of the Canadian audiovisual industry by playing a leadership role through financial support and initiatives that contribute to its success. To actively champion a sustainable Canadian audiovisual culture. To redefine the measure of success. To reward performance and encourage new thinking. To promote diversity in all its forms in our programs and policies. To be open, transparent and accessible to stakeholders, the industry and the public. To deliver the best value to Canadians. Established in 1967 by the Telefilm Canada Act, Telefilm is a federal Crown corporation reporting to Parliament through the Minister of Canadian Heritage. 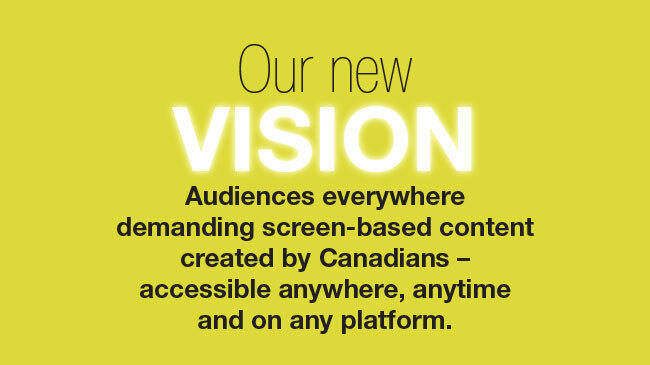 Canadian screen-based content articulates and promotes Canadian culture across the country and around the world. Telefilm's funding programs and support activities deliver a core government service to Canada's audiovisual industries, an important part of our economy. Telefilm uses a performance measurement framework to ensure a culture of accountability. This framework includes strategic objectives, key performance indicators, targets and results, all of which are discussed in Achievements and Administration. Telefilm administers the Canada Feature Film Fund ($97M for fiscal 2010-2011) that primarily provides financial assistance for development and production of films for audiences worldwide. Additionally, Telefilm recommends the certification of treaty coproductions for film and television to the Minister of Canadian Heritage. Supporting the marketing and promotion of Canadian feature films and our audiovisual industry as a whole. Participating in industry events such as festivals and markets that help Canadian audiovisual companies to showcase and sell their productions and supporting the industry's own business development activities. 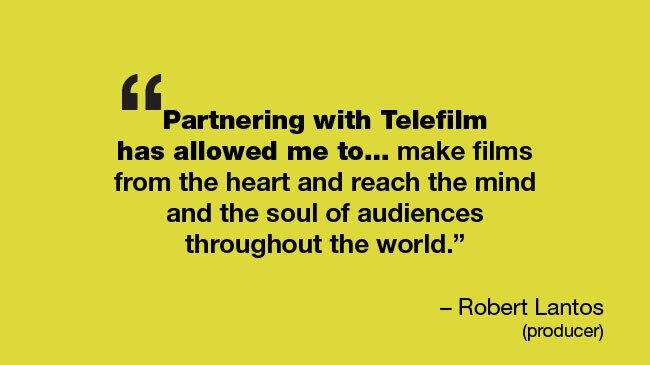 In addition to its own programs and initiatives, Telefilm provides services to the Canada Media Fund (CMF). The CMF is a not-for-profit corporation separate from Telefilm. CMF maintains a services agreement with Telefilm to administer its programs (±$337M for fiscal 2010-2011). Telefilm published a client service charter. The service charter is our commitment to building beneficial relationships with our private sector partners. Accessibility, fairness and timeliness are its core values. 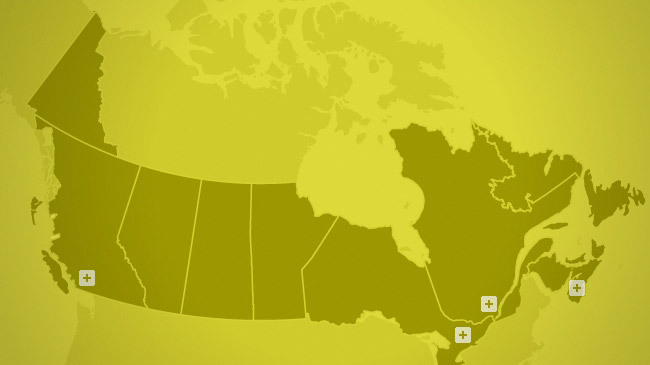 Headquartered in Montreal, Telefilm provides bilingual services to its clients through four offices located in Vancouver, Toronto, Montreal and Halifax. Building business development opportunities and promoting Canadian talent and content to reach communities, in partnership with regional, national and international markets, festivals and initiatives. Reviewing applications and selecting audiovisual projects eligible for program funding. Due diligence for all undertakings in business development and project financing applications, as well as certification of treaty coproductions. Telefilm has over 200 employees across its regional offices in Canada who possess audiovisual industry or administrative experience. Responsibilities are well defined throughout the organization. 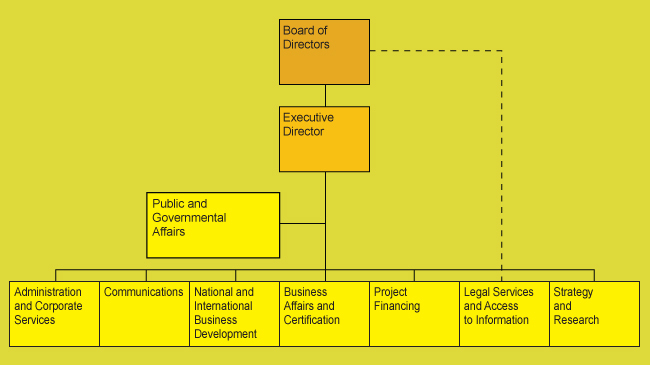 The Executive Director is accountable to the Board of Directors and all other operating sectors are accountable to the Executive Director. At Telefilm, we trust one another and treat each other with consideration. We listen to others, we recognize our colleagues' work, efforts and expertise, we create and foster a climate of trust, we strive for fluency in a bilingual environment, and we act with integrity. We work together to ensure the success of Telefilm and of the Canadian audiovisual industry. We demonstrate consistency with and support for the organization's objectives, we foster a healthy life-work balance, and we are proactive in communicating the organization's messages. We recognize that high-quality client service is at the core of our mandate. We work closely with our internal and external clients, and with our partners. We aim for innovation and continuous improvement. We foster diversity, we strive to be dynamic in achieving Telefilm's objectives, and we draw on lessons learned to move forward. Since 2005-2006, Telefilm's annual reports have won many awards for excellence. 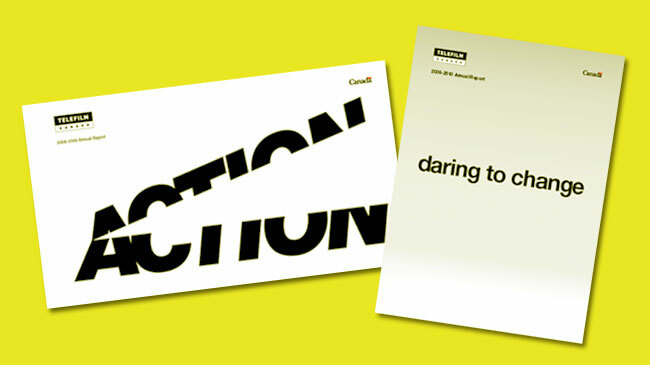 In 2010-2011, Telefilm's 2009-2010 annual report, Daring to Change, won the Silver Astrid Award (international) for Best Online Annual Report, recognizing outstanding achievement in design communication. In addition, its 2008-2009 annual report, Action, also won a Gold Award for Non-Traditional Annual Report – Government Agencies and Offices, at the 2010 International ARC Awards.